As early as July 2017, the French energy group Total announced within the framework of the South Pars 11 project (SP11) led in association with the Chinese group PetroChina (CNPC) that it took all possible precautions to restrain the field of influence of the the Iranian Revolutionary Guards Corps (IRGC). Following the decision of President Donald Trump to withdraw the United States from the Iranian nuclear deal (JCPOA) signed in July 2015, Total said it would discontinue its participation in SP11 if it did not obtain a specific project waiver by the US authorities with the support of the French and European authorities before November 4, 2018. Since then, the Trump administration has reinstated the sanctions against Iran and the Congress could toughen them a little more before the mid-term elections in November. In the absence of a US guarantee and considering the significant fines paid by European companies to the benefit of the US government in recent years, the Total group has announced its definitive withdrawal from the SP11 project despite related expenditure valued at around 40 million euros, confirming a decision known for two months according to Tehran and especially the extraterritoriality of US legislation in Europe. “Total had little choice for two reasons. The first is caution because even with the support of the French government, there was no guarantee that the US government would be comfortable with it. The second and most important is of course the possibility at any time for the US government to paralyze the financial activities of Total knowing that US banks are present in 90% of the group’s financing operations,” said an observer. 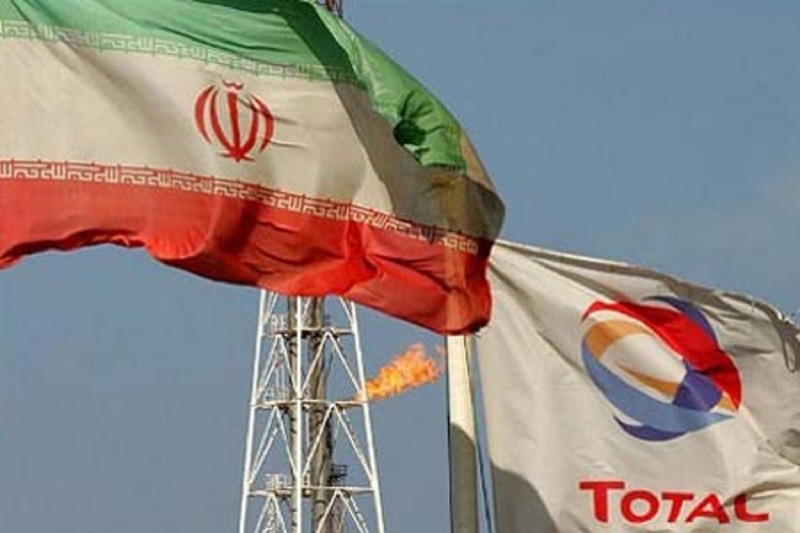 The decision of Total is also a disavowal for the European Union (EU) which Commission has yet adopted on July 16, 2018 a legal instrument – the Blocking Statute – with a view to protecting European companies in Iran against US sanctions. Finally, in accordance with the contract signed on July 3, 2017, PetroChina is expected to acquire Total’s shares and to chair the SP11 consortium.